Attention! 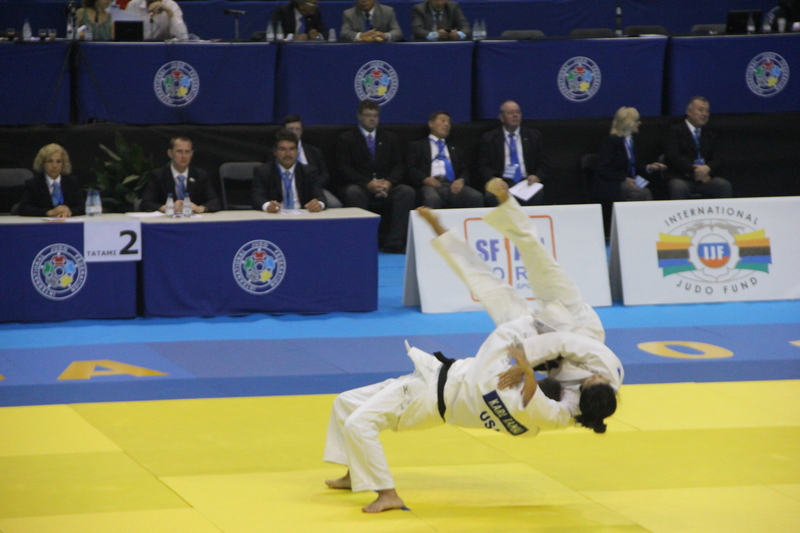 – The 2016 USA JUDO Senior nationals will use the US Standard with 2015 IJF evaluation criteria. Kata (“forms” or “formal techniques”) is a method of judo training: a pre-determined demonstration of an ideal situation to apply the principles of throwing, grappling, submissions, and self-defense. It is a principal component of the art and science of judo, and is complementary to randori (freestyle) training methods. Jigoro Kano (the founder of judo) intended kata to a part of every judoka’s training. Through kata, an individual learns all of the principles and theories of judo, all of the elements of the wazas (techniques), techniques not allowed in shiai, and a means for overall physical fitness. Kata competition is available at all levels of proficiency: local, national, continental and International, and Worlds. Since 2009, the International Judo Federation has hosted the World Kata Judo Championship. This elite level of competition has given national competitors a new and higher goal and has led to an increase in the level of proficiency around the world. There are many path to increasing kata knowledge: fulfillment of promotional requirements, dojo kata practice, attending clinics, competing, teaching, and judging. o Shufu generally hosts at least two clinics per year. In the fall, the Faye Allen Kata Championship includes both competition and clinic. In the spring, a clinic is held. The selected kata(s) changes from year-to-year. • Compete: Competition is the best and most effective means for assessing your current proficiency. Most Shufu tournament include a kata competitions. Faye Allen Kata Championship is held every Fall, typically in late September. The tournament was established by Edwin Takemori, and is currently run by DC Judo.